Yes!! I just can’t express how I love this awesome work! 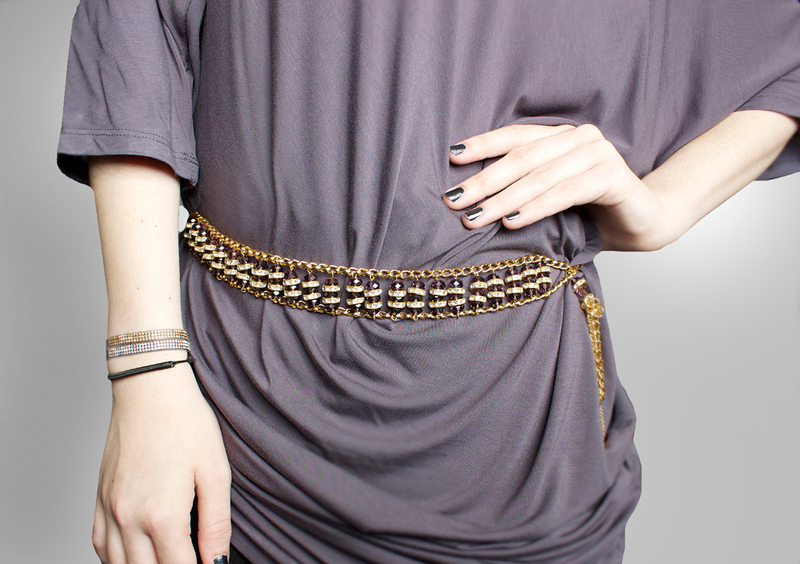 I could never thought of making a belt with amethyst glass crystals! 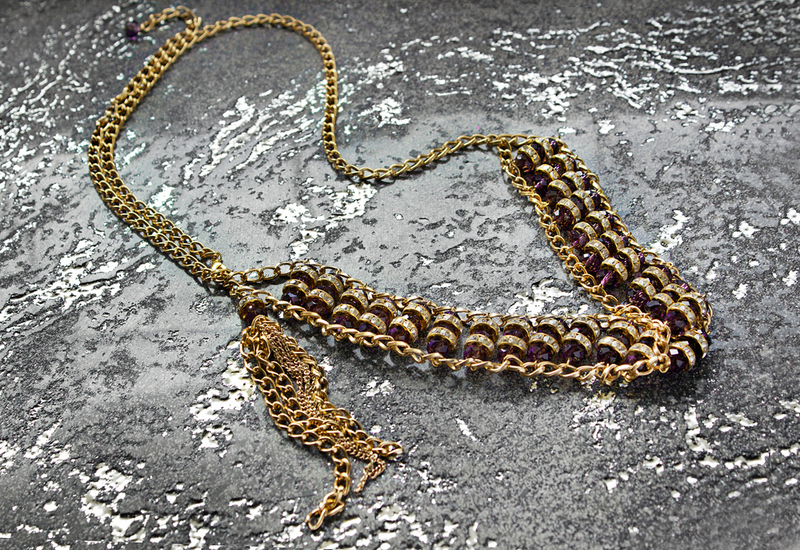 And being added with golden chain makes the whole project so luxurious and sparkling! 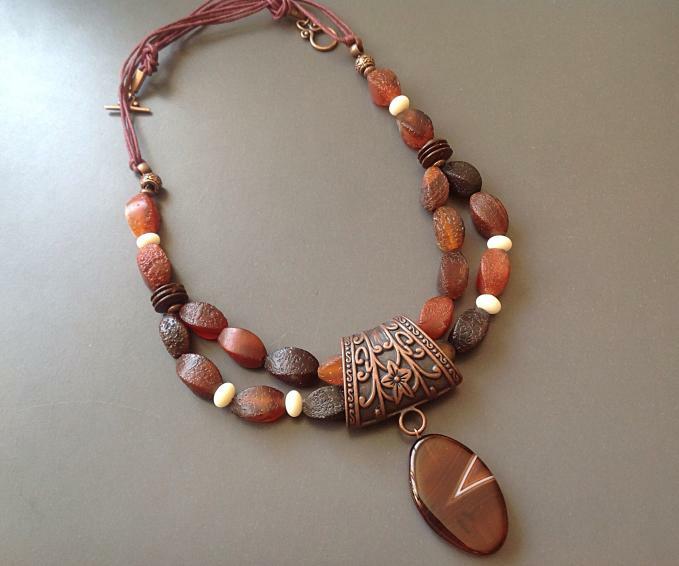 You can also wear it as a statement necklace! What a perfect idea! Anyone can totally make this, it’s not hard at all. 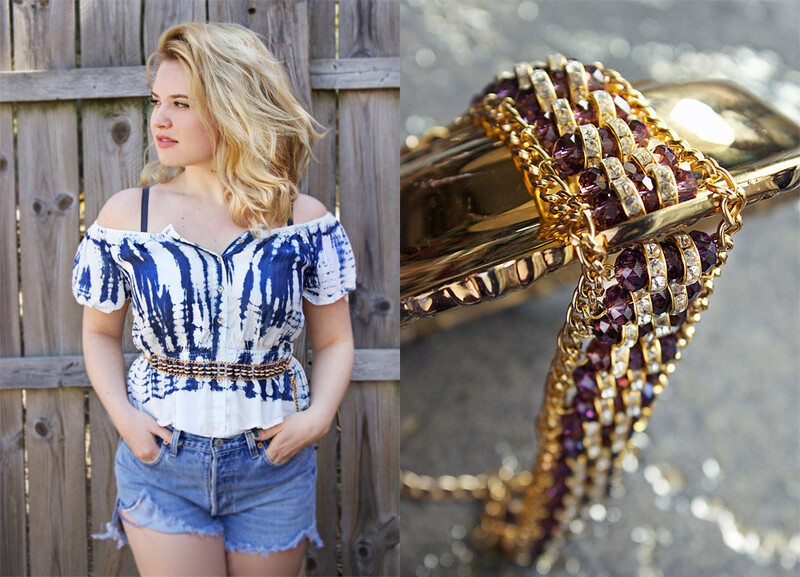 Now get any colors of glitzy crystal glass beads and chains of you favorite and try it out! Beginners’ Beading Tutorials- Happy Hearts Earrings! This is an super easy beading tutorial to make with a little jewelry making supplies, so everyone can come to try this! And once you’ve master this beading technique, you can freely make some happy heart bracelets, necklaces with other beautiful colored beads! Never miss it! And if you runs an Etsy, you’re lucky! 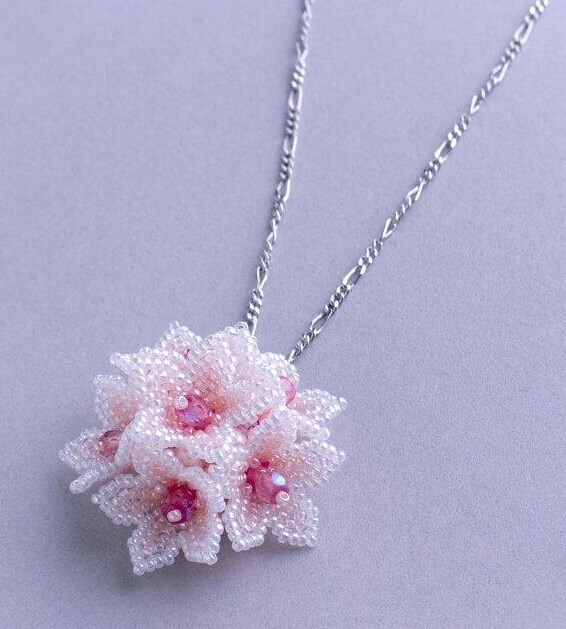 What an exquisite beaded flower pendant necklace! Can you? 🙂 Wanna get seed beads to try? Good luck! 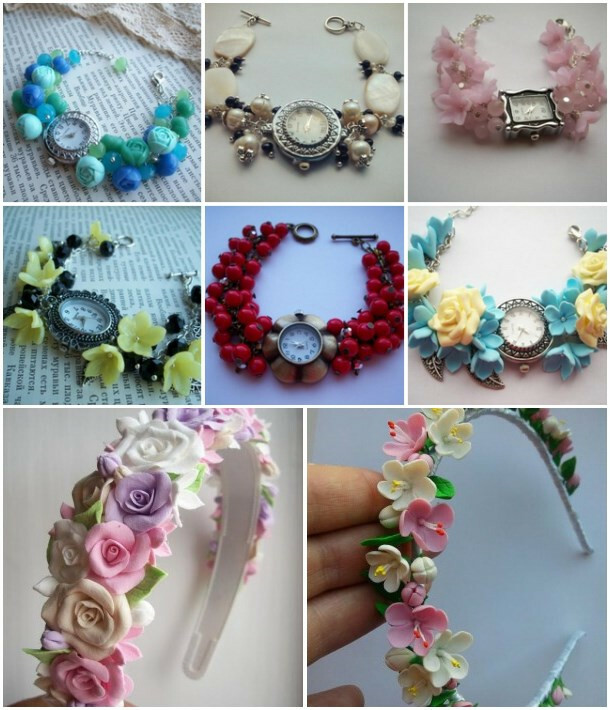 Daisy chain bracelets usually use small colorful seed beads to finish. They are beautiful but not difficult at all. 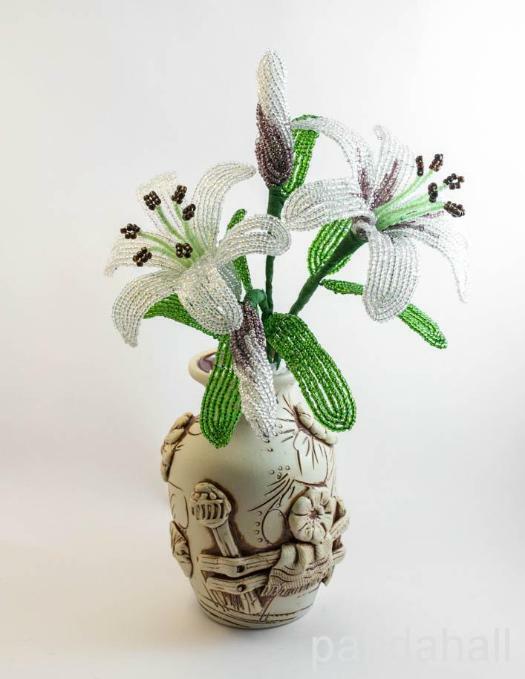 Just get the daisy chain stitch skill here and learn to make your favorite one! Ooooh, I love turquoise beads. I can’t explain how excited when I saw this beautiful turquoise necklace! The irregular shaped turquoise beads, shinny black glass beads and little golden alloy beads make the whole design so charming. You can see it’s just a very basic beading design, however the colors match so well. 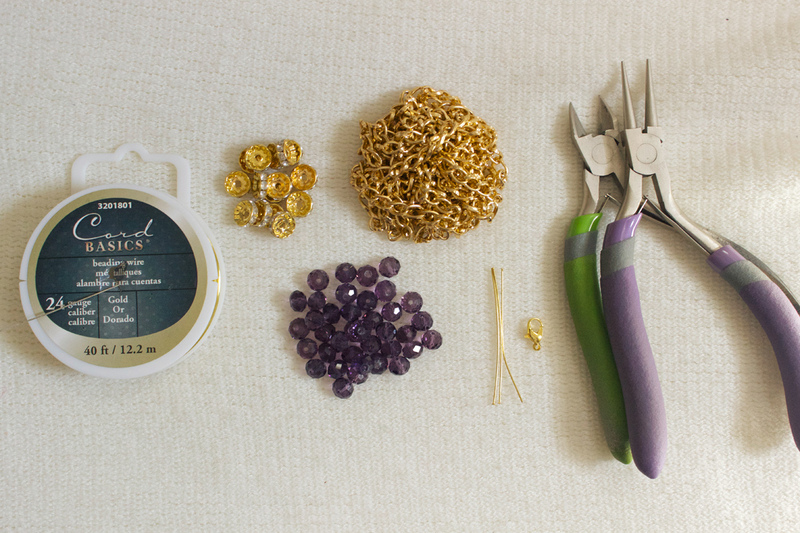 Are you new to jewelry making? 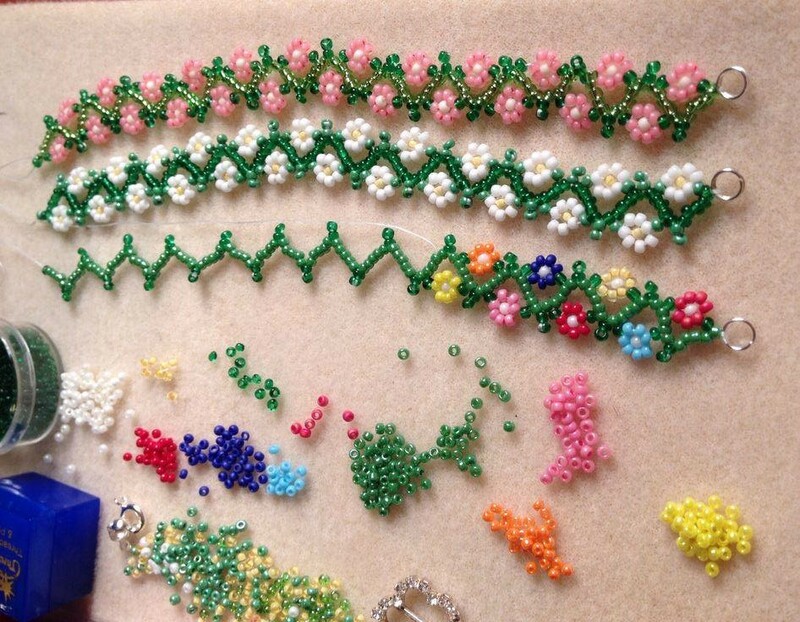 If yes, you can definitely try this beading pattern by repeat threading the beads 6-1-4. Full tutorial is here. I would love to see what you do with this easy pattern! 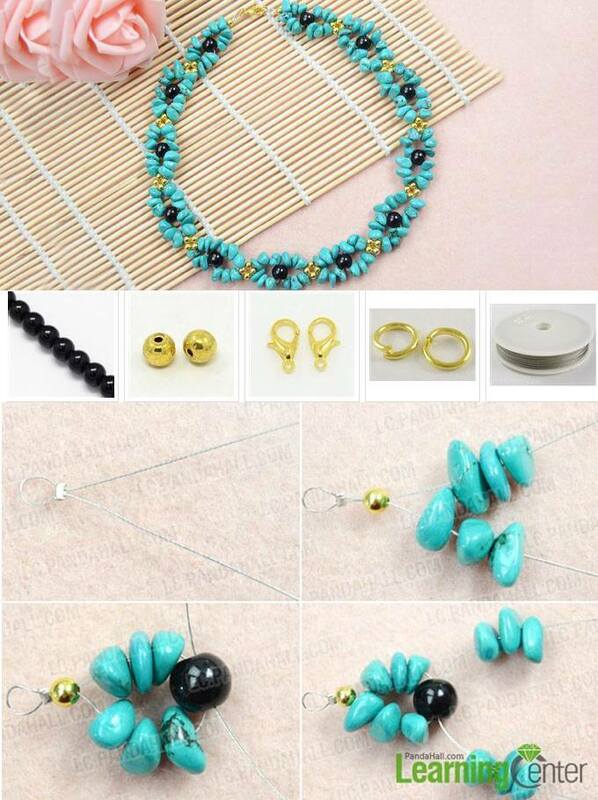 Never miss more jewelry & accessories, happy beading!